What personal information does My Window Mate collect from me? Some personal information is gathered when you register. During registration, My Window Mate asks you for a Username, Password, your name, telephone number, fax number, email address, Company name and addresses. We may keep copies of information you submit when you send email feedback to the site, ask a technical question, or report a problem. If you contact My Window Mate in writing we may keep a record of that correspondence. What does My Window Mate do to protect your personal data online? My Window Mate always aims to deliver the highest level of service and security to our Customers and My Window Mate has been specifically designed with security in mind. In order to ensure the security and protection of your personal details whenever you submit any sensitive information such as credit card number and account details all such details are processed in an encrypted fashion through our Paypal secure page (on their systems) - which is your guarantee for a safe and secure transaction. NO sensitive credit card information stored on our systems. 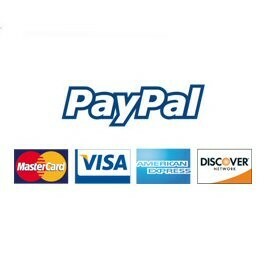 All credit and debit card details are processed through the Paypal secure encrypted systems. Your My Window Mate Account Information is password-protected so that you and only you have access to this personal information. You may edit your My Window Mate Account Information by using your My Window Mate user name and password and by clicking on the Update My Account link in your account menu. We recommend that you do not divulge your password to anyone. My Window Mate will never ask you for your password in an unsolicited phone call or in an unsolicited email. You may request details of what information we hold concerning your account - by eith logging into your account or emailing us directly. What are cookies and how does My Window Mate use them? If you log-in to the site using a Username and Password, your browser may alert you to the fact that a cookie is being sent to your PC. This is a permanent cookie and is used the next time you visit My Window Mate. It identifies you to our server so that we can display your shopping basket you had previously and to help you shop quicker by remembering your username. How does My Window Mate use my information? My Window Mate uses your information for the purposes of order fulfilment (order processing). The personal information you provide to this site is collected and only collected by My Window Mate. My Window Mate may, from time to time, send you emails regarding our Products and about My Window Mate. In addition, we may occasionally send you direct mail about Products and About My Window Mate that we feel may be of interest to you. Only My Window Mate will send you these direct mailings. If you do not want to receive email messages from us, simply send us an email with “NO MAIL” as the subject to sales@mywindowmate.co.uk. What is My Window Mate policy on allowing me to update, correct, or delete my personally identifiable information? You may edit (or request deletion) your Personal Profile information at any time by clicking on the Update My Account Details link in your account menu. If you have forgotten your password, or have any other problems accessing the site, please contact My Window Mate on 01227 791790.